Great double in Brookside Park area. Live in one side and rent the other. 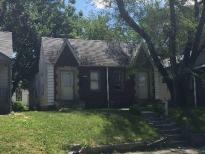 This is your opportunity to live rent free in a developing area! Solid brick exterior and plenty of character to go around.